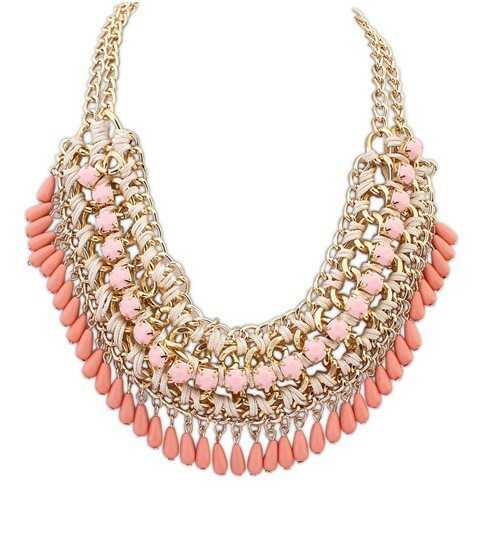 Believe in the magic of this Samara Bib Necklace to transform your outfits in an instant. Finished beautifully with peach-coloured and pink beads, gold-tone chains and entwined thread, it will have everyone on board with its brilliance. Oz Bling brings you great quality and low priced cheap jewellery online.